The Jeep Gladiator is the company’s upcoming pickup truck based on the latest-generation Wrangler. The first Jeep-badged truck in almost three decades, the Gladiator will make its public debut at the 2018 Los Angeles Auto Show. A recent leak confirmed the Gladiator name too, following rumors that it might be called the Scrambler. 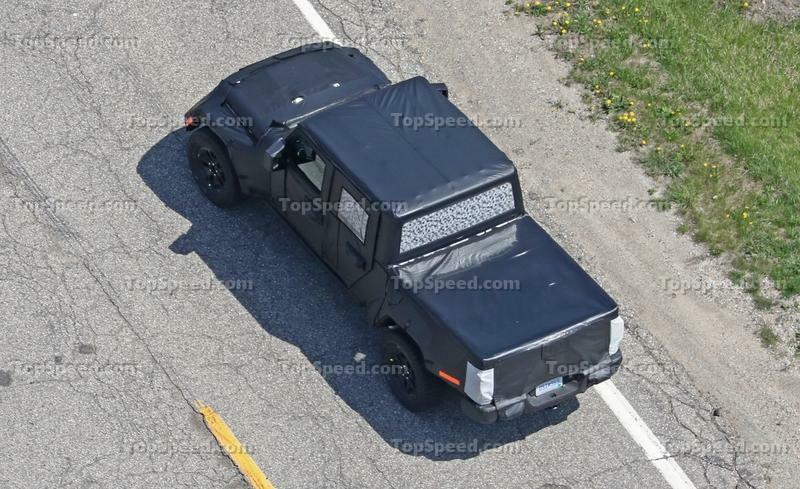 The Gladiator has been confirmed for some time now, but Jeep has been quiet on the details until recently. 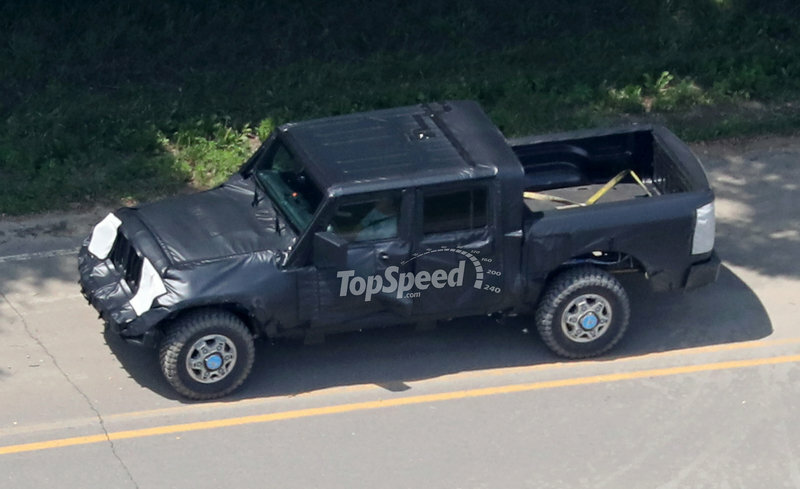 Between spy shots and insider information, we knew the pickup will have the upcoming 2018 Wrangler JL’s frame, front styling, cab, interior, and powertrains. Fortunately, the truck leaked ahead of time and now we have both photos and some information about it. Check it out in our speculative review below. The Gladiator’s design wasn’t much of a mystery. 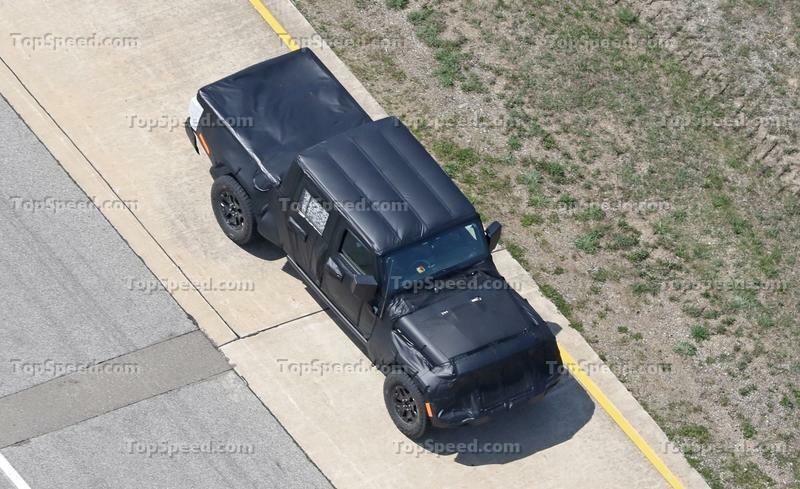 We already knew that it will look like a Wrangler with a bed and the official launch confirmed our suspicion. The first noticeable feature is obviously be the cargo bed. Somewhat surprisingly, the five-foot bed is made from steel. 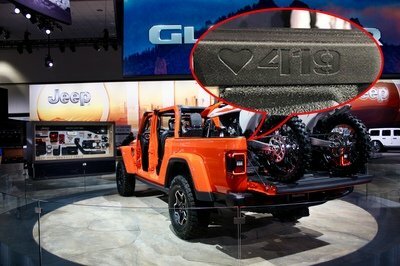 We were expecting composites and plastic for weight-saving purposes, but Jeep must know what it’s doing. 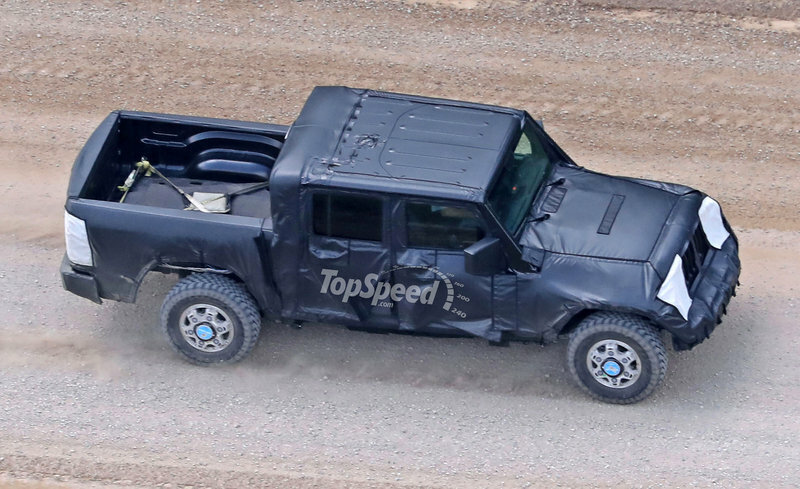 Up front, the Gladiator looks rugged and it’s immediately recognizable as a Jeep (and a Wrangler for that matter). Obviously borrowed from its SUV counterpart, the front fascia features the traditional seven-slot grille. However, the slots are a little wider on the truck for additional air intake to assist with the increased towing capacity. The top of the grille was also swept back a bit compared to the Wrangler to improve aerodynamics. The bumper and the headlamps come from the Wrangler too, with LED lights and foglamps available on Overland and Rubicon models. Similarities continue with the engine hood and the foldable windshield. Paired with the lightweight, removable aluminum doors, the foldable windshield makes the Gladiator the only open-air pickup truck on the market. The rear bumper was revised to utilize the standard center step and license plate holder, while offering room for a trailer hitch receiver and tow hooks down low. The tailgate was also modified. It’s now wider than the Wrangler’s, to make loading big items easier, and features a big handle at the top. The truck features the same square taillights as the Wrangler, with LED lighting available as an option. The tailgate is capable of stopping in three positions, while cargo can be secured with a power-locking feature. Getting back to the open-top design of the truck, Jeep offers three top options. You can pick between a three-piece hard-top in black, a similar cover painted to match the body color, and a premium soft-top. The latter allows you to drive the truck in partial and full open-top positions and helps reduce wind noise. It also features retainers that slide into a track for easy rear window removal. The black hard-top is available on all trims and comes with two Freedom panels and quick-release latches for quick removal and installation. 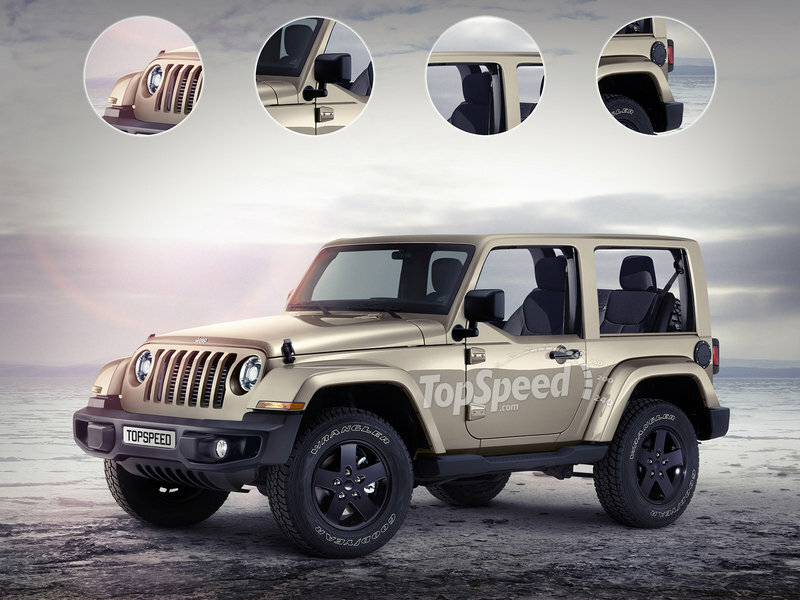 The body-colored top is only available on Overland and Rubicon models. All hardtops feature a manual rear-sliding window. The Gladiator comes with a five-foot bed behind the cabin, which provides enough room to haul large items. However, unlike the Chevrolet Colorado, Ford Ranger, and Toyota Tacoma, it’s not yet available with a six-foot bed option. Jeep will probably offer one in the future, but for the time being it lacks this important option. The good news is that the Gladiator makes up through lots of bed features, standard or optional. The truck comes with under-rail bed lighting, an available, covered external power source (400-watt, 115-volt, three-prong), and integrated tie-downs. An available Trail Rail cargo management system provides additional storage options. There’s also a bed divider for even more options to keep things organized and secure, and Jeep also provides a spray-in bed liner for enhanced durability. You can also purchase a tonneau cover, either the standard offered by Jeep or models available through Mopar and Jeep Performance parts and accessories. Gladiator Rubicon models are equipped with protective cab and cargo bed rock rails. Not surprisingly, the Gladiator’s interior is borrowed from the Wrangler. This is good news, as the low-grade plastics in the previous Wrangler were replaced with higher-end materials and soft-touch surfaces. Sure, the center stack still feels cluttered, but the new infotainment system took over some features and there are less buttons and knobs below. Both the dashboard and the center stack retain a traditional design. They look rugged and boxy, yet feel modern in terms of fit-and-finish and styling. A sizable display mounted between the rev counter and speedometer displays information about the vehicle. The round A/C vents feature platinum chrome bezels for a more premium feel. Of course, the Gladiator becomes fancier as you move up the trim ladder, with the Overland featuring a soft-surface dashboard with accent stitching. The same finish is available on Rubicon models. The standard seats and steering wheel are wrapped in cloth, but you can opt for leather upholstery with accent stitching. Optional features also include adjustable bolsters and lumbar support and a heating function. Jeep revised the rear seats for the Gladiator in order to provide more legroom. The company claims the truck offers segment-leading rear legroom, but no figures are available yet. Unlike the Wrangler, they have a unique design that can be locked in place to provide secure storage behind the seat back. The rear seats can also be folded flat for extra storage room or a flat load floor for larger items. Speaking of storage, the Gladiator is packed with other areas for small items. Durable mesh pockets extend the entire length of the door panel, while the rear seat cushions fold up to reveal storage bins that use the space under the seat. Moving over to tech, the instrument cluster is fitted with a 3.5-inch screen as standard, but you can upgrade to a seven-inch display. The latter allows you to configure information in more than 100 ways and monitor information such as media files, tire pressure, tire-fill alert, and digital speed. The steering wheel includes buttons for audio, voice, and speed functions. The standard infotainment display measures seven-inches, but Jeep offers a 8.4-inch unit for the fourth-generation Uconnect system. An even smaller screen of five inches is standard on the base Gladiator Sport. Apple CarPlay and Android Auto connectivity are included with the seven- and 8.4-inch units. The standard package also includes two USB ports and a USB-C port un front and two more for the rear-seat passengers. A 115-volt AC outlet can power smartphones and tablets. Audiophiles can add a subwoofer and portable wireless speaker, which comes with a net on the left side of the cabin wall for additional storage. Get the Rubicon model and Jeep will throw in a forward-facing off-road camera. It’s placed behind the middle slot of the truck’s grille and allows you to spot obstacles ahead on the trail. The Gladiator also comes with a ParkView rear backup camera with dynamic grid lines, Adaptive Cruise Control, and electronic stability control with roll mitigation. The options list includes Blind-spot Monitoring and Rear Cross Path detection. As you might have already guessed, the Gladiator draws juice from the 3.6-liter Pentastar V-6 engine offered in the Wrangler. Output figures are identical at 285 horsepower and 260 pound-feet of twist and mates to a six-speed manual transmission as standard. An eight-speed automatic is optional. Although not overly powerful, the V-6 was engineered to provide a broad torque band with a focus on low-end torque, which becomes useful when you go off-roading or when hauling cargo or towing a trailer. Starting 2020, Jeep will also offer a 3.0-liter EcoDiesel mill. Developed by WM Motori and already available in the Jeep Grand Cherokee and the Ram 1500 truck, the oil burner cranks out 260 horsepower and 442 pound-feet of torque. An eight-speed transmission designed to handle the extra torque will be standard. Jeep says that a unique set of two overdrive ratios improve highway fuel economy and reduce overall noise, vibration and harshness (NVH) levels of Gladiators fitted with the eight-speed automatic, but there are no figures to run by as of this writing. Not only powerful, the Gladiator is also very capable courtesy of its all-wheel-drive systems. The Sport and Overland models comes standard with a Command-Trak 4x4 system with a two-speed transfer case and a 2.72:1 low-range gear ratio. The package also includes third-generation Dana 44 front and rear axles with a 3.73 rear axle ratio. Rubicon models, on the other hand, are equipped with a Rock-Trac 4x4 systems that feature heavy-duty Dana 44 front and rear axles with “4LO” ratios of 4:1. The 4.10 front and rear axle ratios and the Tru-Lok locking differentials are also standard on this trim. The Rubicon boasts an impressive crawl ratio of 84.2:1 with the manual transmission and 77.2:1 with the eight-speed automatic. When fitted with the 33-inch tires, the Gladiator benefits from an approach angle of 43.6 degrees, breakover angle of 20.3 degrees, departure angle of 26 degrees, and ground clearance of 11.1 inches. It can also run through 30-inch deep water without breaking a sweat. Finally, it has a payload capacity of up to 1,600 pounds, almost 300 pounds more than the most potent Wrangler. It also trumps the Toyota Tacoma by 230 pounds and the Chevrolet Colorado by 52 pounds. Towing capacity is impressive as well at up to 7,650 pounds with the Max Towing Package, compared to the 3,500-pound rating of the Wrangler SUV. The Gladiator rises above the competition in this department too, being able to tow an extra 1,250 pounds over the Toyota Tacoma and an extra 650 pounds over the most capable version of the Chevrolet Colorado. Compared to the new Ford Ranger, the Gladiator can tow an extra 150 pounds, but falls behind in payload capability by 260 pounds. The Gladiator rides on a traditional body-on-frame design that combines a high-strength steel frame with lightweight materials for a stiff and durable layout. Compared to the Wrangler, the Gladiator’s frame is 31 inches longer, while the wheelbase is also 19.4 inches longer compared to the four-door SUV. The prop shaft, brake, fuel lines, and exhaust system were also lengthened to accommodate the changes needed to make the body-on-frame design work with the midsize truck configuration. The Gladiator employs four skid plates and bars that protect vital components such as the fuel tank, transfer case, and transmission oil pan. The Wrangler’s suspension system was redesign specifically for the truck. Up front, there’s a five-link coil system with a lateral control arm and four longitudinal control arms. Around back, the five-link setup includes two upper and two lower forged steel longitudinal control arms and a track bar for lateral axle controls. The arms are located under the frame rails, while the shocks are forward facing to provide consistent damping for improved ride comfort. Jeep retuned the springs for an optimum balance between a comfortable ride on city streets and off-road capability, with or without cargo in the bed. Additional shock tuning, hard points, and body mount setup further enhances ride comfort, body-roll control, and handling. Jeep has yet to release pricing information for the Gladiator, but it’s safe to assume that it will cost more than the Wrangler. With the SUV priced from $27,945, the pickup truck is likely to retail from around $30,000. That’s notably more than the Toyota Tacoma and Chevrolet Colorado, but you need to keep in mind the fact that Jeep isn’t offering a four-cylinder base model. On the other hand, a fully loaded Rubicon model will probably cost in excess of $60,000. The bad news is that the Gladiator will sell like hotcakes and we will most likely see dealer markups and long waiting lists in the truck’s first few months on the market, due to limited availability in showrooms. So be prepared to pay big if you want one right away. 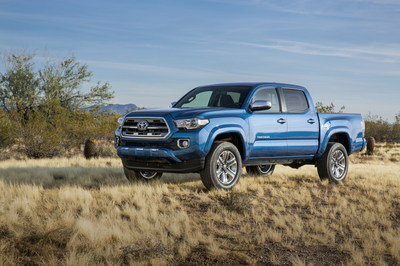 The Tacoma has long ruled the midsize segment and continues to dominate with the third-generation model. Introduced in 2015, the truck features a new design, upgraded interior, and an all-new 3.5-liter V-6 rated at 278 horsepower. Unlike the Gladiator, it’s also offered with a 2.7-liter four-cylinder that generates 159 horses. 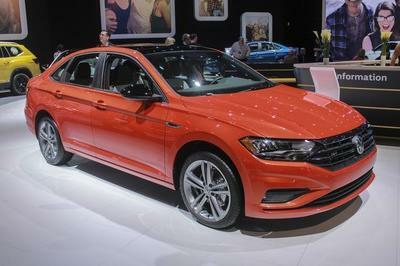 Various trims are available, starting with the bare-bones, two-door SR priced from $25,550. Toyota also offers TRD Sport and TRD Off-Road trims, as well as a range-topping TRD Pro model priced from $42,660. The TRD Off-Road is probably the most compatible with the non-Rubicon Wrangler pickup, while the TRD Pro would be a worthy competitor to the Rubicon. Slightly less powerful thatn the Gladiator, the Tacoma is also inferior in terms of payload at towing capacity at 1,470 and 6,400 pounds, respectively. On the other hand, the Tacoma can be specified with a longer, six-foot bed. Read our full review of the Toyota Tacoma. While the Tacoma is being offered in the U.S. since 1995, the Colorado took a brake from the U.S. market between 2012 to 2014. The truck returned with a Silverado-inspired design and it’s been rather popular ever since. 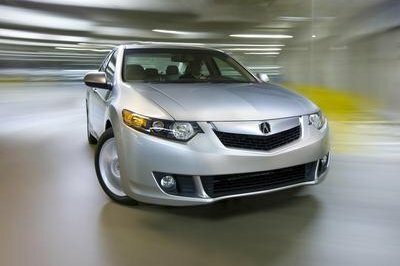 Power comes from a 3.6-liter V-6 engine that delivers more than the competition at 308 horsepower and 275 pound-feet of torque. Chevy also offers a 2.8-liter diesel that’s good for 181 horsepower and 369 pound-feet of twist. At the time of its introduction, it was the first truck in this class to feature an oil burner. Unlike Jeep, Chevy offers both extended and crew cab versions, as well as five- and six-foot beds. Trims include Base, WT, LT, Z71, and ZR2. Both the Z71 and ZR2 are off-road oriented, but the ZR2 also features a more aggressive look, increased ground clearance and track width, and an off-road suspension. 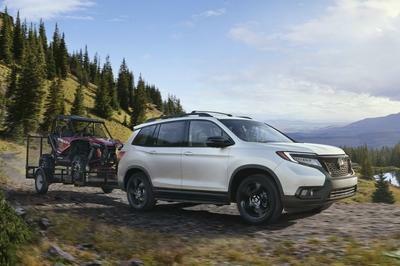 The Colorado’s payload capability is rated at 1,548 pounds, while towing comes in at 7,000 pounds. Prices range between $21,495 to $42,295. Read our full story on the Chevrolet Colorado. Introduced in early 2018, the Ranger returned to the United States after a six-year hiatus. It’s available in SuperCab and SuperCrew body styles and three trim levels, XL, XLT, and Lariat, while the FX2 and FX4 packages add off-road capability. Mostly similar to the Ranger sold globally for a few years now, it features different bumpers. Unlike its rivals, it doesn’t have a V-6 engine, but the 2.3-liter EcoBoost four-cylinder, shared with the Mustang, is plenty powerful at 270 horsepower and 310 pound-feet of torque. Ford claims the Ranger can handle up to 1,860 pounds of payload and that it can tow up to 7,500 pounds. Pricing starts from $24,000 for the base model and goes up to $34,385 for the Lariat trim. Read our full story on the Ford Ranger. The Gladiator’s arrival is a victory not only for enthusiasts that have been asking for a Jeep truck for decades now, but also for the SUV brand. This think will sell like hotcakes and will make a big impact on the midsize truck market. The fact that it’s based on the all-popular Wrangler helps a lot, but the Gladiator deserves credit for its potent engine, off-road capabilities, and impressive, class-leading towing ratings. Of course, we still need to wait for proper off-road testing to draw a conclusion, but if the Wrangler is any indication, the Gladiator should handle itself off the beaten path. The open-air configuration should also keep Jeep enthusiasts happy. Read our full review of the new Jeep Wrangler. 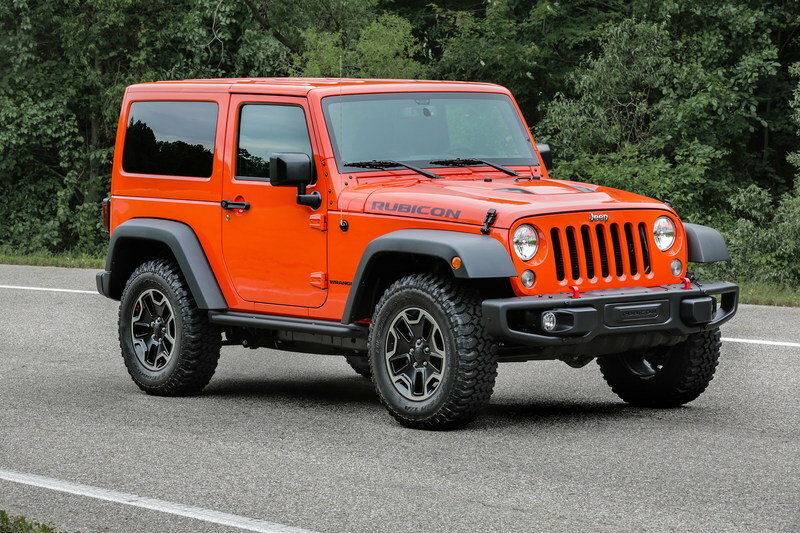 Read our full review on the outgoing Jeep Wrangler. Updated 5/26/2017: The upcoming Wrangler pickup was caught testing once again, this time with what appears to be an official bed. Check out the spy shots section below to see the latest pictures and to read more about it.